It is a unique occasion for all, manufacturers, importers, retailers, schools, clubs, pilots and general public to discover an exhaustive array of inventions, artefacts, outfits, technological advances... and to encounter every possible type of aircraft and accessory or sportswear item related to the realm of ultra light flight. Thursday - September 19 : 2:00 - 7:30 p.m. The traditional 2nd Hand Market held all day Saturday and Sunday, is set up for buying and selling material of all sorts. 10,000 m2 outdoors is reserved for 2nd hang gliders, ultra-lights and paramotors. Inside the Expo is the SecondHand Equipment Stand, organized by the Club St. Hil'Air, where you can leave off a wing and material to sell over the weekend. Aside from wings, we also accept safety chutes, instruments and accessories. Secondhand equipment that has not undergone revision is still accepted, although it is strongly recommended to have had a check-up within 6 months before putting it up for sale. With this in mind you are invited to contact : Wingshop in St Hilaire du Touvet, partner of the local club. Open as of Thursday 2:00 p.m..
Jean Marc Mouligné Prize : The Cercle de l'Homme Volant association (Circle of the Flying Man) will award a prize for the most poetic and innovative flying machine. The jury is particularly sensitive to the human adventure that lies behind the resulting aircraft or related invention, i.e. the lonely inventor type with no money but great. 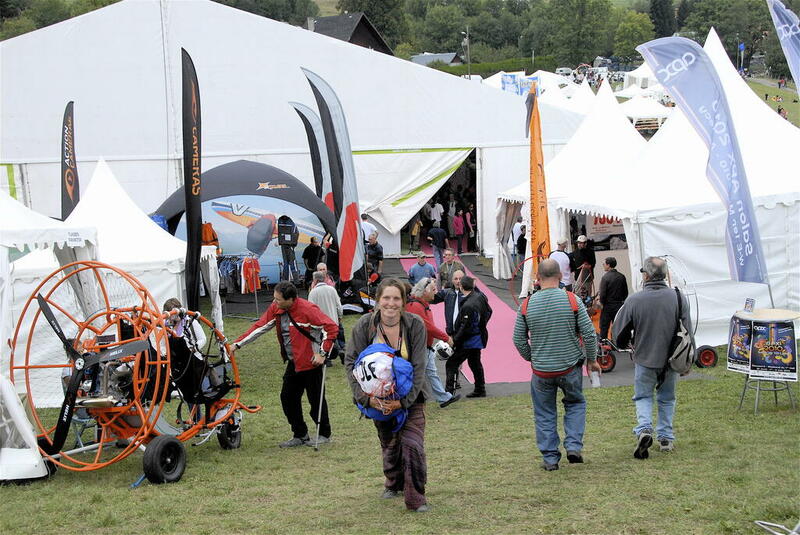 Once again this year, Cross Country and Paramotor magazines will award the prize for the Best Presented Stand.